This new online showroom brings our passion for helping dancers find the products they love for studio and stage directly to you. This will be a work in progress as we figure out the best way to use this format. We will highlight some of what we have in our showroom and make that available for purchase online. Our selection changes frequently, so there is no way to feature everything, but we will do our best to give you as many choices as possible. We also will use our blogs and learning centers online to share our experience on the many topics and products that we use to help dancers in our showroom every day. Why Tutu? Because our experience helps you choose the right products. The products we carry are hand picked from our years of experience in the industry as well as from listening to dancers and teachers in our store. How you feel the first time you try something on and how you feel a year after wearing it are both equally important. For example - we have carried probably sixty different ballet slippers in our history - the selection we carry now represents the cream of the crop for fit, selection of sizes, and quality. We buy the products from the companies AND we also fit the dancers, so we know what is working or what is not working. 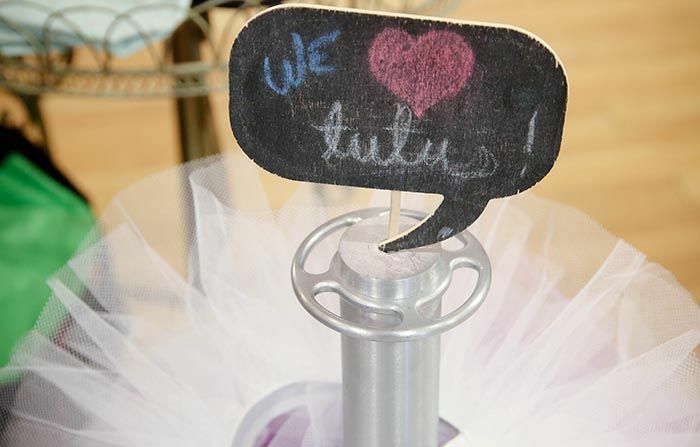 This is what makes Tutu different from other online sites and dance stores. We carry products that, through the years, have proven to be the best in each category - often e-tailers only carry products which are heavily promoted from the manufacturer and on which they can make the most money. Customers tell us that discounts offered by online retailers disappear quickly the first time you have to return something and pay for return shipping and a restocking fee. We want you to be confident that whether a dancer walks into Tutu’s brick and mortar store or the online showroom, they are always picking from the best fitting and best quality products available, and we have the experience to answer questions to help you to get the most out of them. One more thing…..THIS BLOG IS FOR YOU: DANCERS, TEACHERS AND PARENTS! Let us know any questions you have via Facebook or Twitter or email, and we can answer those questions on the blog or maybe even feature you on a future video!